The University of Edinburgh has made a strategic commitment to embrace the circular economy alongside its goal to become zero carbon by 2040. With a staff and student community of over 50,000, a turnover of nearly £1bn and extensive property, investments and purchasing, the University is well-placed to use its scale and influence to drive innovation in the circular economy. Circular economy thinking and practice is already happening at the University, across research and enterprise, learning and teaching and operations (in areas such as procurement, waste management and estates development). 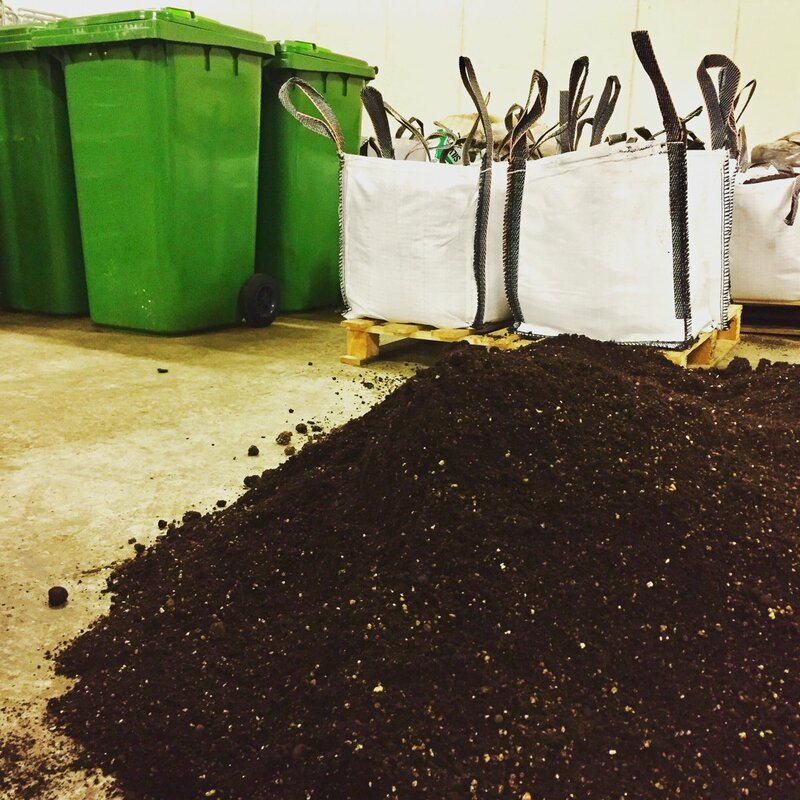 The University is pleased to be working with Revive Eco as a circular business, which has recently received confirmation of £234,358 funding from Zero Waste Scotland for its process to use coffee grounds to create valuable bio-oils with applications across several sectors. The University’s research plays a critical role in developing circular economy thinking and practice across business sectors. For example, Professor Jason Love in the School of Chemistry works on a process to recover previous metals from electronic waste (otherwise known as ‘urban mining’). The University is also home to the UK Biochar Research Centre, a world-leading centre for research into the production of ‘biochar’ – a charcoal-based soil conditioner with significant environmental benefits. -ApparelXchange, a Glasgow-based social enterprise, specialises in reusing school uniforms to ensure more children have access to quality clothing. Kate added: “The University established the Department for Social Responsibility and Sustainability in 2014 to ensure we operate in a socially responsible and sustainable way. It works closely with academic schools and other business units – such as the Waste Office in Estates Operations – to understand the challenges and opportunities presented by the circular economy and to identify and test solutions on campus. This collaborative approach naturally involves lots of different parts of the organisation working together, as well as partnerships with suppliers, charities, social enterprises and other local community partners. There is also a network of almost 200 staff volunteers who act as Waste Coordinators to help improve resource efficiency in their area of work. The University now plans to take circular economy thinking and practice on campus to the next level. This will involve taking a whole-institution approach to embedding circular economy further across all spheres of practice and looking for partnership opportunities to stimulate further innovation and exchange of circular ideas, including exploring the potential for a specialist Circular Economy Knowledge Hub and business incubation centre. Circular Edinburgh is a joint initiative delivered by Zero Waste Scotland and the Edinburgh Chamber of Commerce supported by funding from both the Scottish Government and the European Regional Development Fund through the £73million Resource Efficient Circular Economy Accelerator Programme. Circular Edinburgh delivers a programme of knowledge sharing events, workshops and roundtable discussions to promote the “Circular Economy” to local businesses.